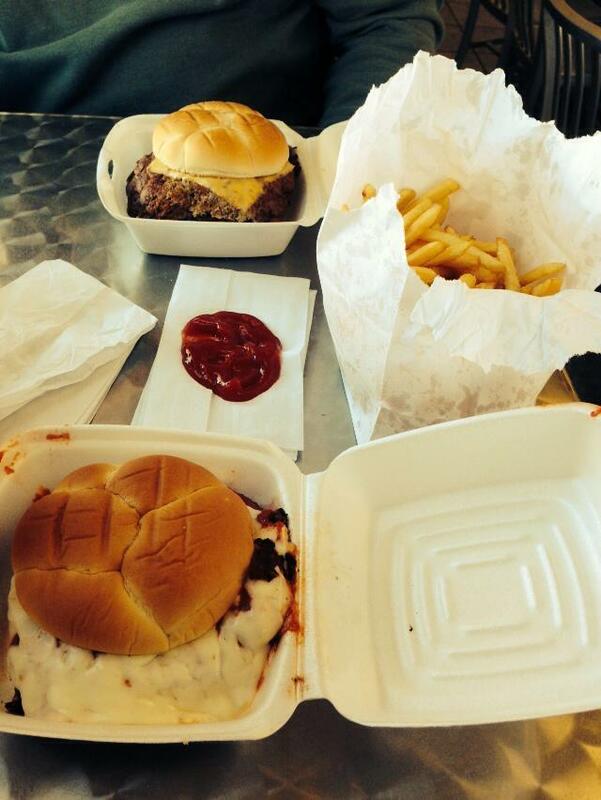 What is more classically American than a good ol’ burger and fries? And I think we can all agree that sometimes there is nothing better than a delicious, juicy burger. While people certainly have opinions about what constitutes the perfect burger, we do know one thing: this serious burger bucket list will have you wiping the drool off your keyboard. 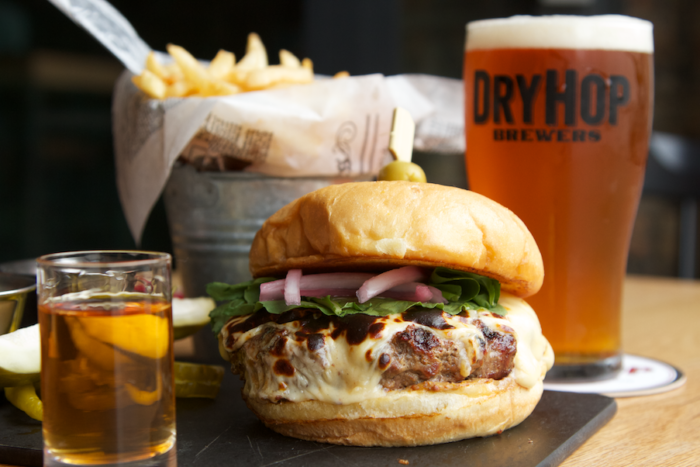 This Lakeview restaurant has become a popular spot for not only refreshing beer flights but also their decadent Dryhop burger. This juicy burger is made from brisket and short rib (need we say more?). Top that with chile-tomato jam, pickled sweet onions, and arugula and blanket it all under a generous helping of melting aged cheddar and you’ll have a died-and-gone-to-heaven moment. Smoked bacon is optional but we all know you’re going to do it! If you are in pursuit of the juiciest burger, then turn to Bulldogs Grill, with their handcrafted burgers made from chuck and sirloin. Cooked to delicious perfection, they boast one of the juiciest burgers on the planet. But don’t take our word for it. Find out for yourself. With new burger specials every week, you can opt for a traditional hamburger or cheeseburger or you can choose from one of their more uniquely crafted ones like “Area 51,” which is the ideal combination of green chiles, chipotle mayo, pepper jack cheese and guacamole. 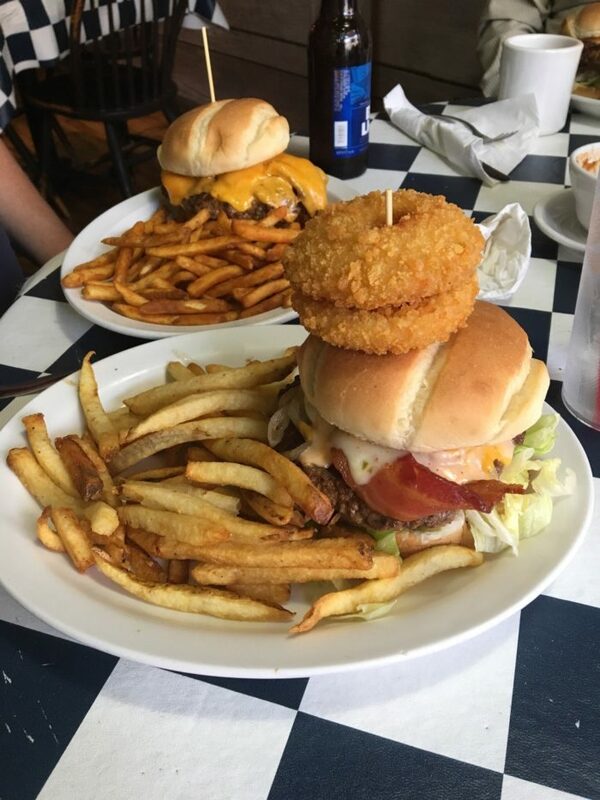 Even though this little pub in central Illinois might be a bit challenging to find, we promise you that it’s worth it the minute you bite into that burger. 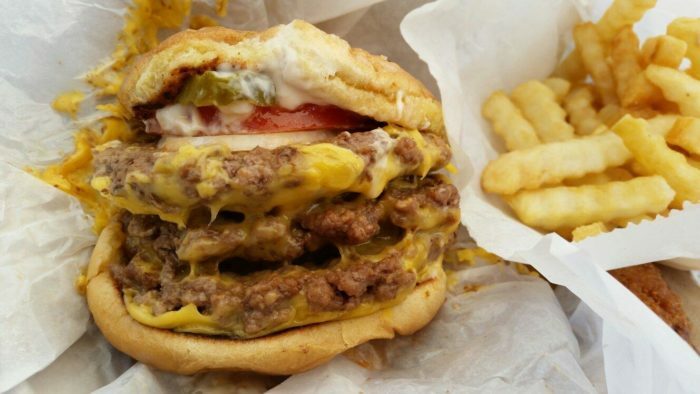 With accolades like “Best Burger in Town” by The Buzz and “The 15 Best College Burger Joints,” it must be good. 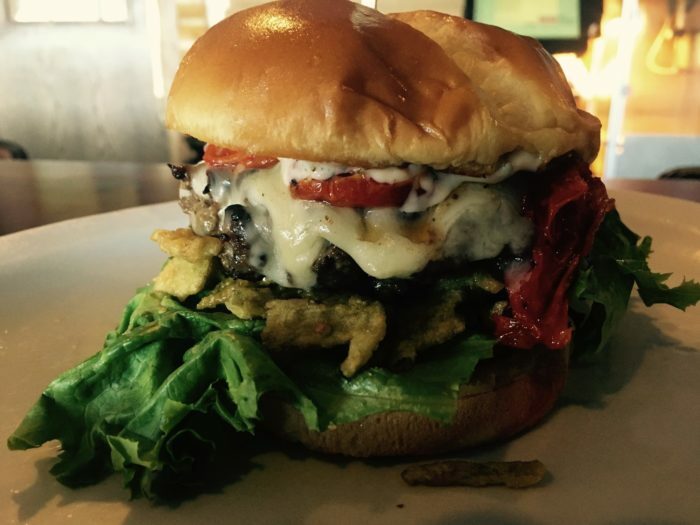 If you like it hot, enjoy their Fire Burger with sautéed jalapeños, red peppers, red onions and jalapeño/habanero cheese, or choose The Spicoli with sautéed onions and mushrooms, bacon and your choice of creamy, melted cheese. 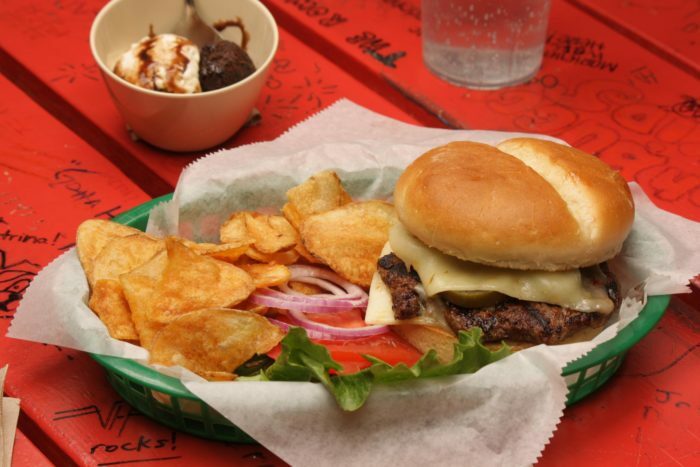 If you are in the mood for a creative, artisanal burger experience then it’s time to head over to Durty Gurt’s in Galena. 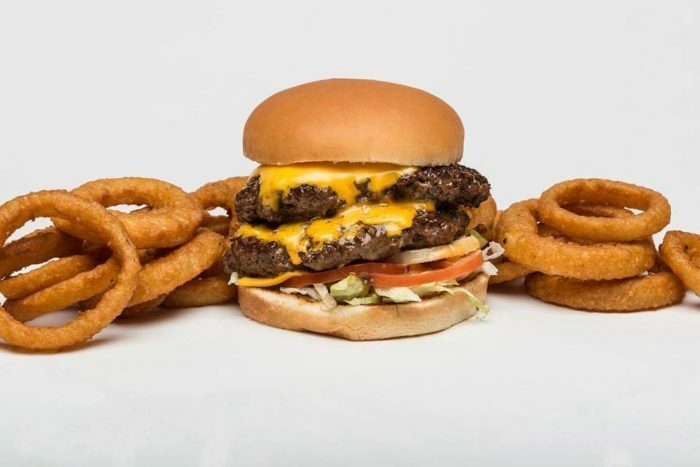 Whether you are craving a burger for lunch or dinner, this restaurant is sure to deliver the “best burger in town.” Choose from delicious favorites like the Tombstone Burger, Hawaii Five-O or City Diner (who doesn’t love a fried egg on top?). Just consider washing that delicious burger down with a boozy shake. The name and the prison-themed décor might seem rather odd, but you certainly won’t find this kind of delicious food in prison. 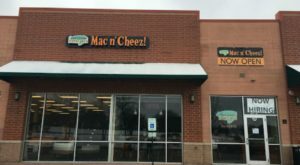 In fact, this Ukrainian Village favorite has been the talk of the burger town - “Check, Please!” even did a feature on them. Take in a metal or hard rock concert while noshing on a gourmet burger (with farm-to-table meat, no less!) 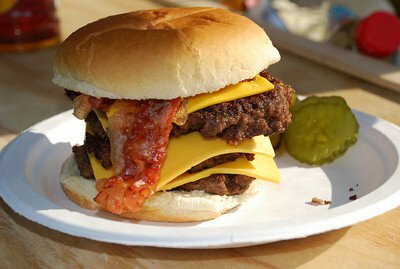 with bold names like “Conjugal Visit” or “The Death Sentence,” a 20-oz meat patty topped with bacon, cheddar and caramelized onions. Not sure which burger to get? Don’t worry; they have burger flights (we’re not drooling, you’re drooling!). 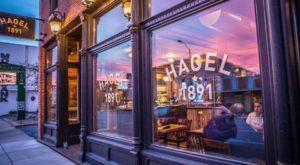 While most people aren’t typically looking for an amazing college burger joint after they graduate college, this hole-in-the-place might just change your mind when you try these burgers that boast locally sourced meats and produce. Try their savory bison burger and you won’t be sorry. Not keen on going out into the cold weather? 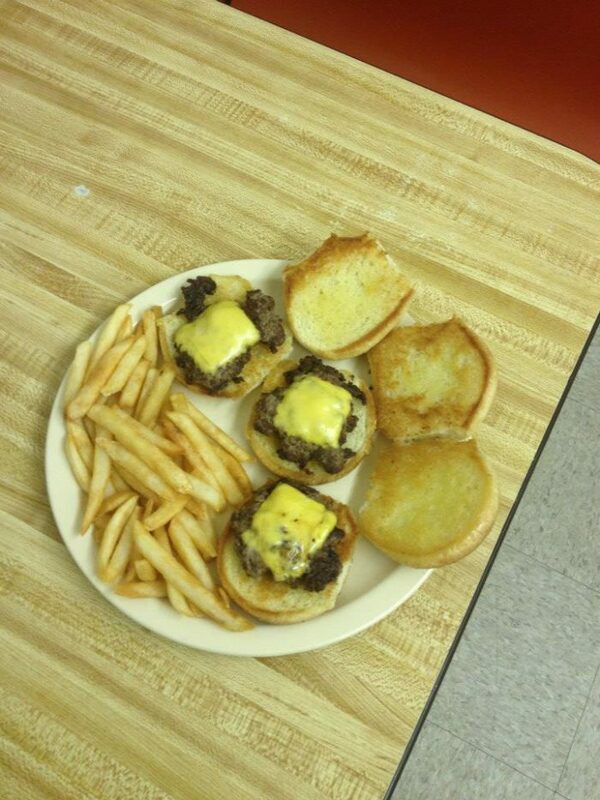 Fat Patties has you covered. A burger delivered right to your doorstep. Now that’s just glorious! 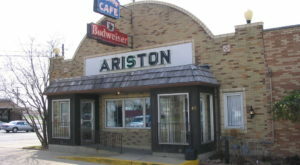 If you happen to be camping around the Peoria area then you’ll be remiss if you don’t get yourself to this country bar. Kick back at this relaxed saloon and enjoy a refreshing beer and a generously large piping-hot burger (you might just need to hold it with two hands). Enjoy the relaxing atmosphere while filling your tummy with a thick, hearty burger that will satiate your hunger and quell those vicious burger cravings. 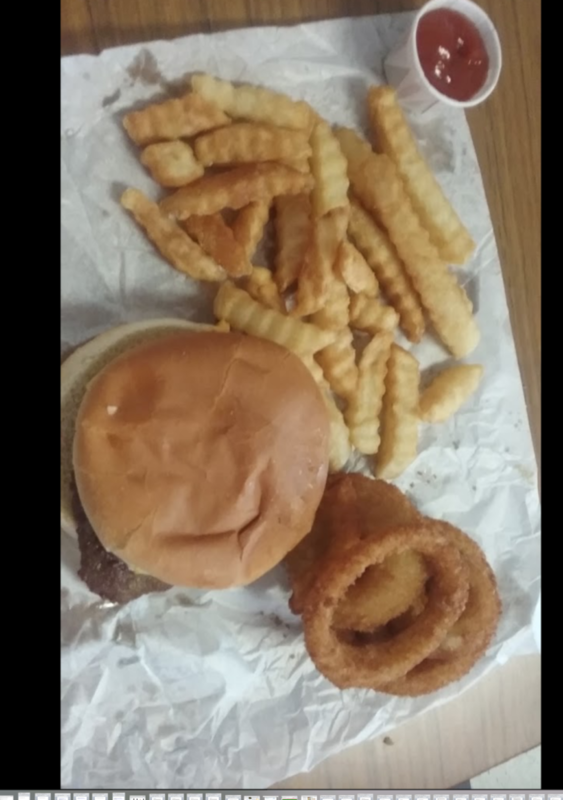 Yes, drive-ins still exist and if you happen to be in Breese then you’ll be sorely regretful if you don’t head to this nostalgic drive-in restaurant for a shake (or a Ski soda), seasoned waffle fries and an amazing old-fashion burger that is grilled to scrumptious perfection. They’ve been serving this area since 1951; they know how to make a burger right! People can’t say enough amazing things about this small-town spot that serves burgers the way you remember them. This newer Andersonville establishment may be tucked away on a side street but this doesn’t keep people from talking about these seriously good burgers - and delicious cocktails to boot! 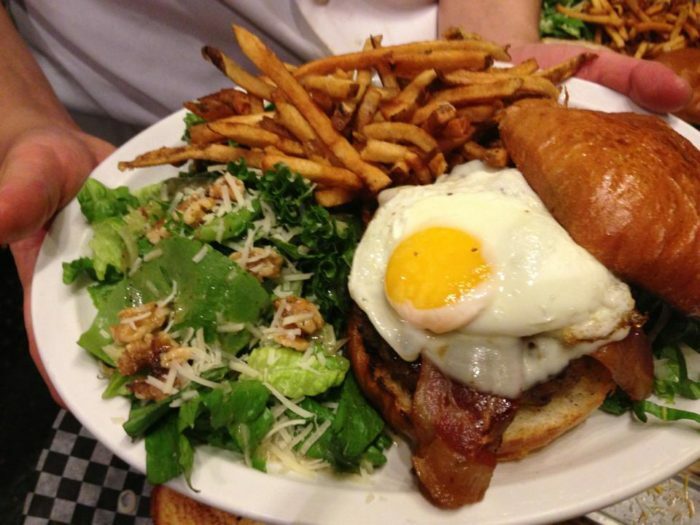 While they boast astronomically large portions of crispy fries (don’t forget to dip it in the dangerously addictive aioli) and even salads, you’ll be very bad if you don’t try the Wolf Burger. 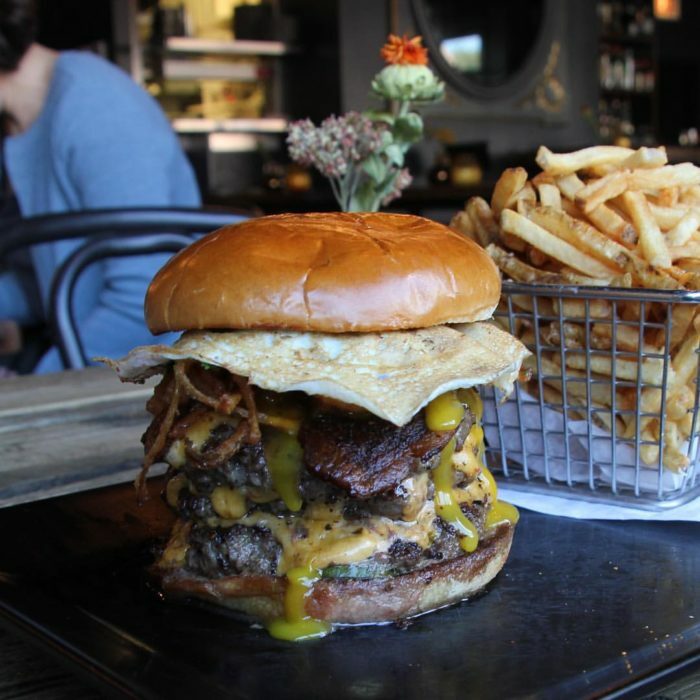 With three beef patties, creamy melted American cheese, onion straws, house-made pickles, mayo and a fried egg, you’ll tame the burger beast with this meal. Better yet? 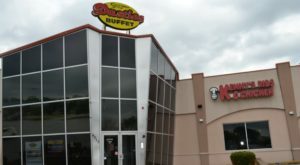 They serve food until 2AM Monday through Friday (and ‘til 3AM on Saturdays). Sometimes burgers don’t have to come with all those frills in order to be good. In fact, sometimes all you just want is a good old traditional burger the way your parents used to make them (but better!). 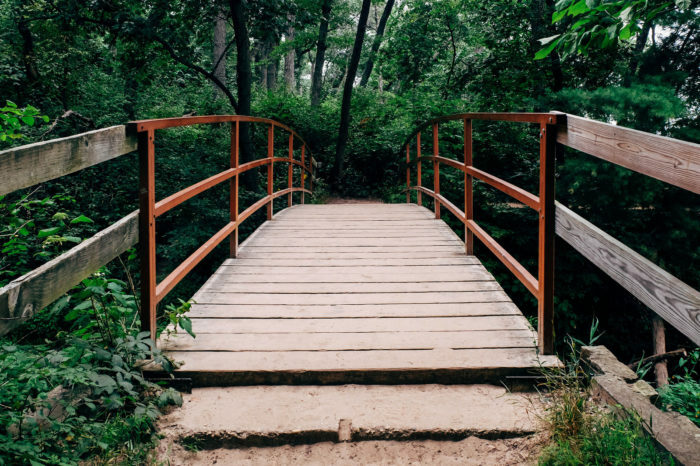 So head to the Moonshine Store, the only place in this tiny two-person town of Moonshine that is certainly worth the trip. 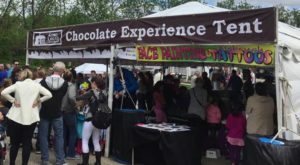 They are only open until 1PM and they often have a pretty decent crowd, so plan ahead so you don’t miss out on this amazing mom-and-pop store with impeccably cooked handmade patties. With over 20 different types of burgers on the menu, if you can’t find a burger that speaks to you then you clearly aren’t a burger lover. Treat yourself to a Burger Barge staple like the Mashed Potato & Gravy Burger or battle your hunger against The Kraken, their largest burger that contains onion rings, cheese, all the fixings and dock sauce all contained within two bacon grilled cheese sandwiches. 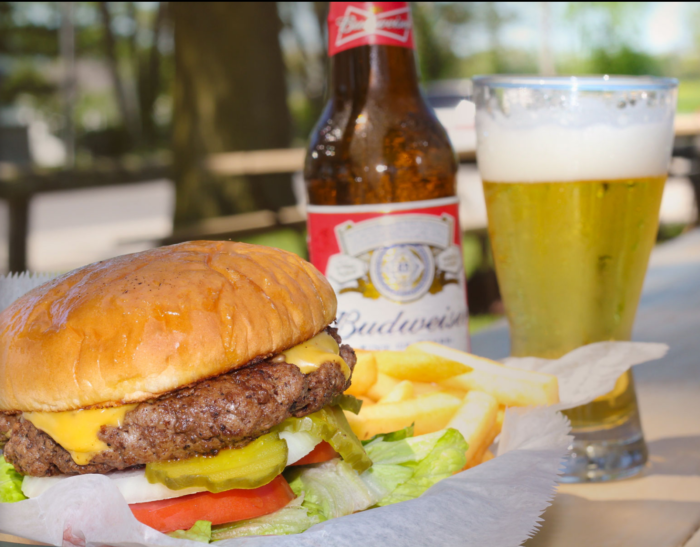 During the summer months, enjoy getting your burger cravings met while also taking in the beautiful weather on their open deck. 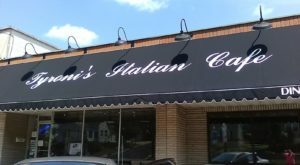 If you are on a quest to find the most obscure burger joint serving up some pretty darn good eats, then it’s time you headed to this little LaSalle County town and walked into this quaint, rural restaurant. While people brag about the heavenly tenderloins, if you are a burger person, as we suspect you are, then this is your little burger mecca. 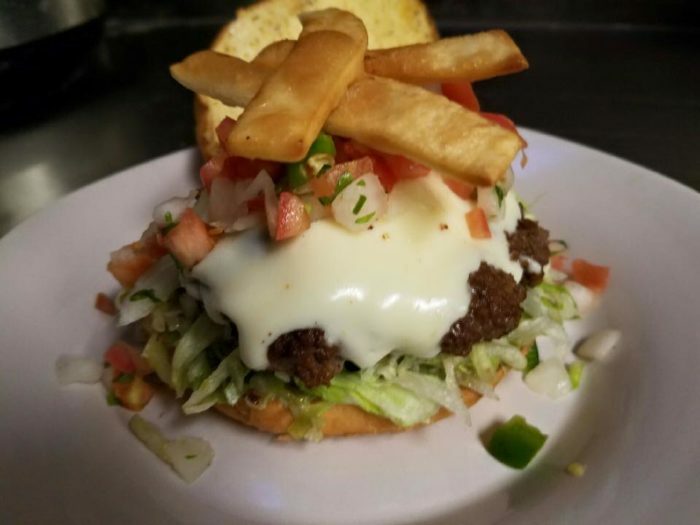 You can rely on this local bar and grille to offer great service, delicious and dependable food and a burger that you’ll dream about. 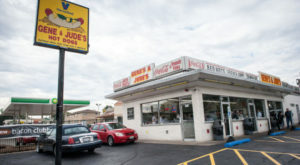 This fast food restaurant has been a local favorite for decades with burgers that are always reliably delicious. With the American military-themed artwork surrounding you, you will feel like eating a burger is your patriotic duty. These fresh, hand-formed burgers cause quite a line since everything is made perfectly to order. But really we only have two words to say to you: pizza burger. Are you constantly seeking out the oddest and most unique burger options around? Could you not imagine a world in which a regular burger was your only option? If so, then Honest Abe’s for you. After all, where else will you find a 100 percent Angus ground chuck burger that is able to make peanut butter and jelly seem like the best complement to this hearty meat patty? The PB and Jealousy is apparently that good! 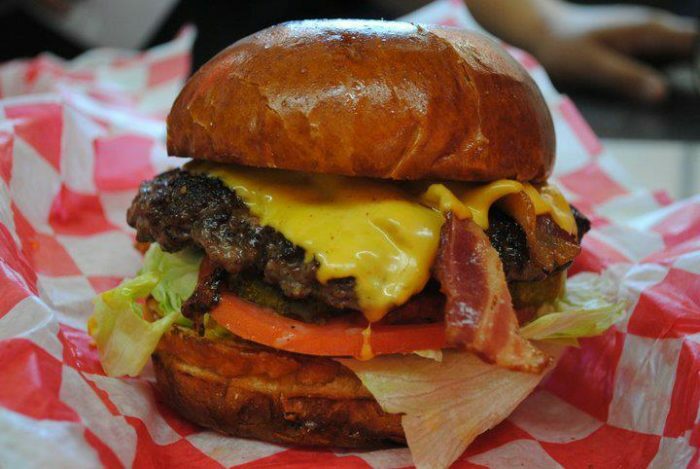 With over 20 different creative burgers from which to choose - as well as the humble cheeseburger for you traditionalists out there - at Honest Abe’s you are sure to find nothing but honestly good burgers. This 1950s, cash-only fast food joint in the little town of Energy has become a traditional Southern Illinois hot spot for locals looking to get their hands on a famous Polar Whip burger. One bite into these tender morsels of burger-hood and you’ll immediately recognize the pride that this family restaurant takes in its food. Just don’t forget to wash that burger down with a creamy homemade milkshake. 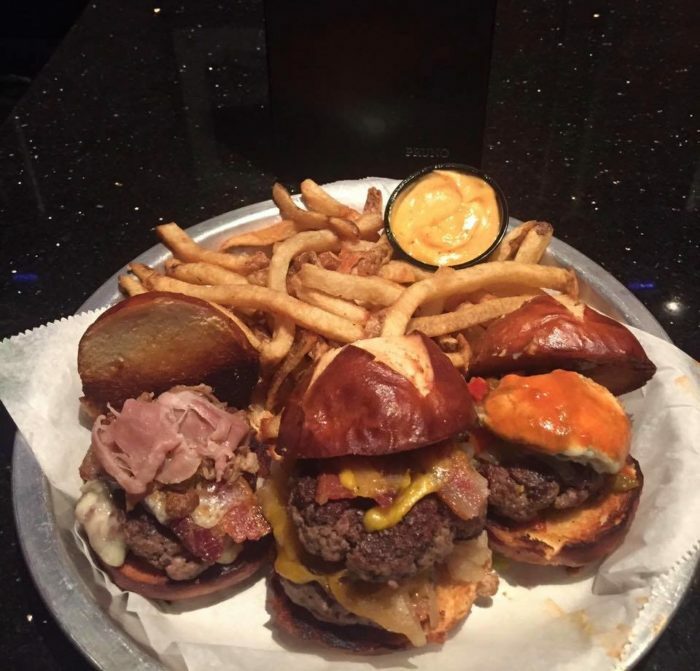 The 30 years of popularity and incredible awards (WGN TV’s Chicago’s Best named it the juiciest burger ever) are enough to send burger lovers flocking to this McHenry County town with their hand-formed, 10 oz burgers freshly prepared to make your taste buds sing. 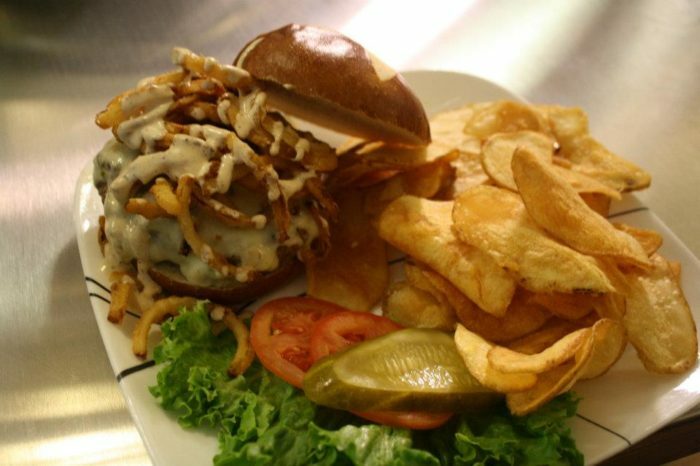 Try the Thomas’ Potato Skinz Burger with fries, bacon, cheddar and sour cream that is lightly kissed with scallions, or wake up on the right side of bed with the Sunrise Burger that offers bacon, grilled onions, sunny-side eggs and American cheese. Sometime you just get a hankerin’ for an old-style diner that promises the most delicious cherry cokes and juiciest burgers around. And when you do, you better head over to Bill’s Toasty Shop for a homemade burger done just the way you want it. Add bacon. Add cheese. Heck, add some onions. The food is top notch and it’s open 24 hours so that you can enjoy this incredible greasy spoon establishment whenever your stomach grumbles for a savory burger. If this didn’t send your taste buds into a frenzy, we don’t know what will. This bucket list is quite the Everest to tackle but we believe you passionate food lovers might be willing to take on this challenge. We wish you the best of luck on your delicious burger endeavors. And if there are other mind-boggling burger spots that you discover that aren’t on this list, be sure to share in the comments.